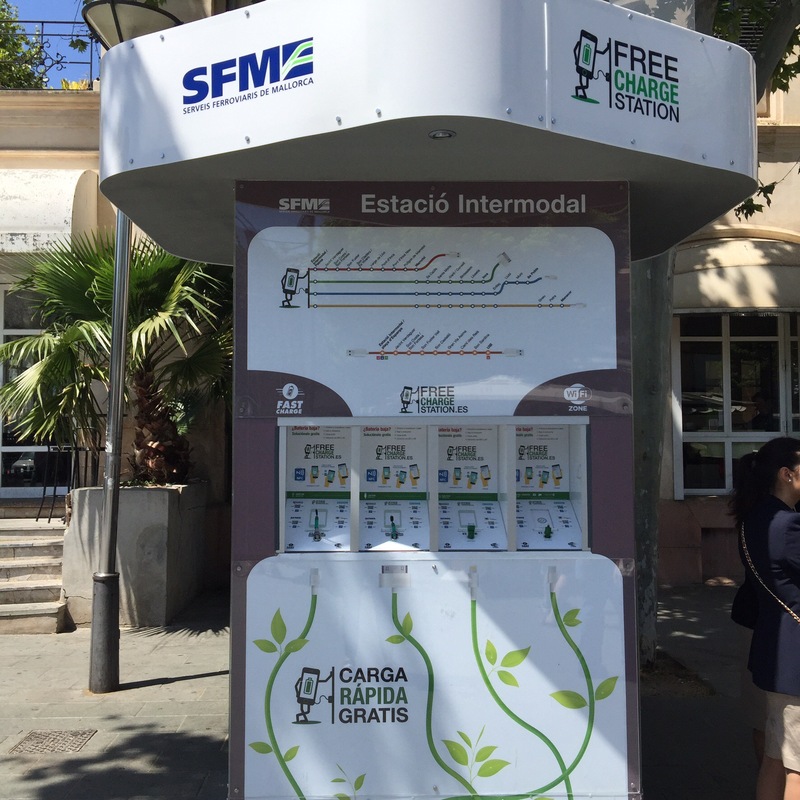 On my way to the train station in Plaza de España in Palma a couple of weeks ago, I saw this thing outside the entrance where you can charge your devices. Very handy for travellers and fast and free too. Hope they catch on!